Just once wouldn't you love for someone to simply show you the evidence for God's existence? No arm-twisting. No statements of, "You just have to believe." Well, here is an attempt to candidly offer some of the reasons which suggest that God exists. 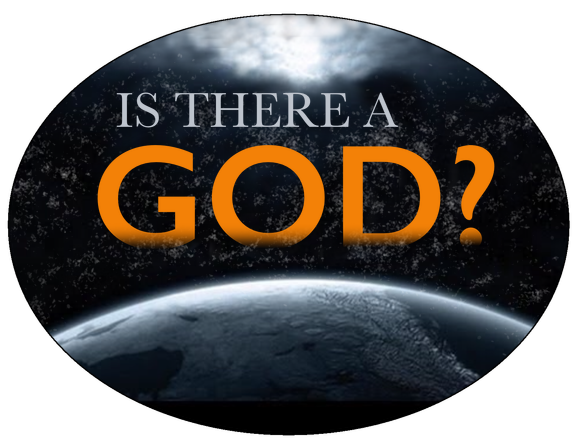 Before you look at the facts surrounding God's existence, ask yourself, If God does exist, would I want to know him? 1. The complexity of our planet points to a deliberate Designer who not only created our universe, but sustains it today. The Earth...its size is perfect. The Earth's size and corresponding gravity holds a thin layer of mostly nitrogen and oxygen gases, only extending about 50 miles above the Earth's surface. If Earth were smaller, an atmosphere would be impossible, like the planet Mercury. If Earth were larger, its atmosphere would contain free hydrogen, like Jupiter. (3) Earth is the only known planet equipped with an atmosphere of the right mixture of gases to sustain plant, animal and human life. The human brain processes more than a million messages a second. (7) Your brain weighs the importance of all this data, filtering out the relatively unimportant. This screening function is what allows you to focus and operate effectively in your world. The brain functions differently than other organs. There is an intelligence to it, the ability to reason, to produce feelings, to dream and plan, to take action, and relate to other people. The eye...can distinguish among seven million colors. It has automatic focusing and handles an astounding 1.5 million messages -- simultaneously. (8) Evolution focuses on mutations and changes from and within existing organisms. Yet evolution alone does not fully explain the initial source of the eye or the brain -- the start of living organisms from nonliving matter. 2. The universe had a start - what caused it? The universe has not always existed. It had a start...what caused that? Scientists have no explanation for the sudden explosion of light and matter. 3. The universe operates by uniform laws of nature. Why does it? Much of life may seem uncertain, but look at what we can count on day after day: gravity remains consistent, a hot cup of coffee left on a counter will get cold, the earth rotates in the same 24 hours, and the speed of light doesn't change -- on earth or in galaxies far from us. 4. The DNA code informs, programs a cell's behavior. All instruction, all teaching, all training comes with intent. Someone who writes an instruction manual does so with purpose. Did you know that in every cell of our bodies there exists a very detailed instruction code, much like a miniature computer program? As you may know, a computer program is made up of ones and zeros, like this: 11001010101100. The way they are arranged tell the computer program what to do. The DNA code in each of our cells is very similar. It's made up of four chemicals that scientists abbreviate as A, T, G, and C. These are arranged in the human cell like this: CGTGTGACTCGCTCCTGAT and so on. There are three billion of these letters in every human cell!! Why is this so amazing? One has to ask....how did this information program wind up in each human cell? These are not just chemicals. These are chemicals that instruct, that code in a very detailed way exactly how the person's body should develop. 5. We know God exists because he pursues us. He is constantly initiating and seeking for us to come to him. Lewis went on to write a book titled, "Surprised by Joy" as a result of knowing God. I too had no expectations other than rightfully admitting God's existence. Yet over the following several months, I became amazed by his love for me. 6. Unlike any other revelation of God, Jesus Christ is the clearest, most specific picture of God revealing himself to us. Jesus died in our place so we could be forgiven. Of all the religions known to humanity, only through Jesus will you see God reaching toward humanity, providing a way for us to have a relationship with him. Jesus proves a divine heart of love, meeting our needs, drawing us to himself. Because of Jesus' death and resurrection, he offers us a new life today. We can be forgiven, fully accepted by God and genuinely loved by God. He says, "I have loved you with an everlasting love, therefore I have continued my faithfulness to you." (17) This is God, in action. This is your decision, no coercion here. But if you want to be forgiven by God and come into a relationship with him, you can do so right now by asking him to forgive you and come into your life. Jesus said, "Behold, I stand at the door [of your heart] and knock. He who hears my voice and opens the door, I will come into him [or her]." (19) If you want to do this, but aren't sure how to put it into words, this may help: "Jesus, thank you for dying for my sins. You know my life and that I need to be forgiven. I ask you to forgive me right now and come into my life. I want to know you in a real way. Come into my life now. Thank you that you wanted a relationship with me. Amen." About the Author: As a former atheist, Marilyn Adamson found it difficult to refute the continuously answered prayers and quality of life of a close friend. In challenging the beliefs of her friend, Marilyn was amazed to learn the wealth of objective evidence pointing to the existence of God. After about a year of persistent questioning, she responded to God's offer to come into her life and has found faith in Him to be constantly substantiated and greatly rewarding. How Marilyn Adamson found God. (9) Robert Jastrow; "Message from Professor Robert Jastrow"; LeaderU.com; 2002. (10) Steven Weinberg; The First Three Minutes: A Modern View of the Origin of the Universe;(Basic Books,1988); p 5. (11) Dinesh D'Souza, What's So Great about Christianity; (Regnery Publishing, Inc, 2007, chapter 11). (12) Richard Feynman, The Meaning of It All: Thoughts of a Citizen-Scientist (New York: BasicBooks, 1998), 43. (9) Robert Jastrow; "Message from Professor Robert Jastrow"; LeaderU.com; 2002.